If you need to send your baggage, My Baggage can help! 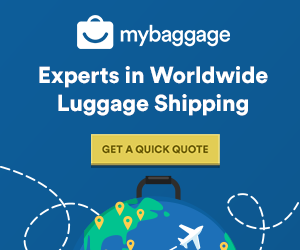 My Baggage offers low cost, reliable luggage shipping for those who need to send their baggage within the UK or overseas – and it can all be done from the comfort of your own home! Sending your baggage with My Baggage couldn’t be easier. All you have to do is book and pay for your shipment online, and we’ll take care of all of the hard work. We’ll collect your items and deliver them to where they need to go – you won’t have to worry about a thing, as our service is fully door-to-door for your convenience. We’ll always keep you updated with the whereabouts of your shipment while it’s in transit. We provide full online tracking, as well as SMS and email notifications. For that extra peace of mind, we also have a dedicated customer service team on hand to answer any queries you might have via phone, email or live chat. At My Baggage we fully understand that you want your luggage delivered as quickly as possible – and that’s exactly why we make it our top priority. We provide super quickly luggage shipping with 1-2 days within the UK and 3-4 days to most other worldwide destinations. We also offer an Express service for both domestic and international orders – so you don’t have to be without your items for long. 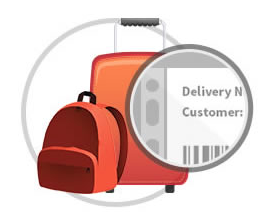 At My Baggage we ship your luggage quickly, safely and at a price you can afford. You can send a box or suitcase weighing up to 30kg for as little as £16.99!